I finally disabled my old page/bog that was still running, outdated and ugly ;). Why did it take so long? Because it still had some vsluable content that people regularly looked for and read. 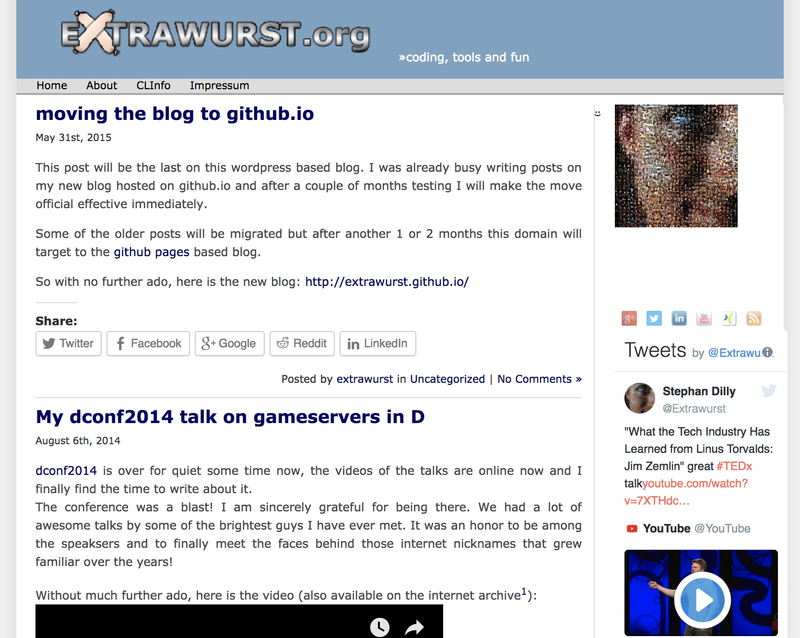 Especially my articles about gameserver developmont in D, media streaming with Nodejs and more. This content is now exported into PDF article versions (see bottom of this post) that I can provide here.